Photograph of the façade of the Chazen Art Museum. More walls and floor space—the recurring dream of collectors and museums alike. And a dream that came true for the recently renamed Chazen Museum of Art at the University of Wisconsin, Madison, in 2012, when the museum was increased to 176,000 square feet, becoming the second largest university art museum in the country.1 Forty-two years earlier, university-owned works of art from various campus buildings were transferred to the newly established art museum, named after Conrad Elvehjem, a past president of the university, and the task of building a comprehensive art collection began. The first university artist-in-residence program in the country was established by the University of Wisconsin with the appointment of John Steuart Curry to the position in 1936. 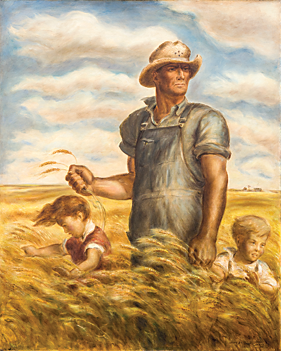 Recognized, along with Thomas Hart Benton and Grant Wood, as one of the three great Midwestern painters of American Regionalism in the first half of the twentieth century, Curry’s legacy at the university includes murals he painted in the biochemistry building during his residency from 1939 to 1946. An iconic painting by Curry, Our Good Earth (Fig. 1), hanging in the dean’s office of the Agricultural School, would, some years later be transferred to the museum. 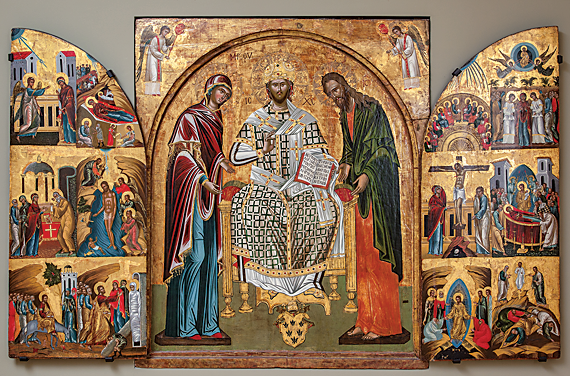 The fortune and direction of the Chazen Art Museum has been shaped by donations, especially large and fully realized private collections; one of the most unique being 116 Russian works assembled by Joseph E. Davies (Law school Class of 1901). The collection consisted of both early Soviet-dictated subject matter art, and, because of special permission given by the Soviet dictator Joseph Stalin, rare icons, many coming from deconsecrated Russian Orthodox churches. In 1936, Davies, newly married to General Foods heiress Marjorie Merriweather Post, was appointed American ambassador to the Soviet Union. 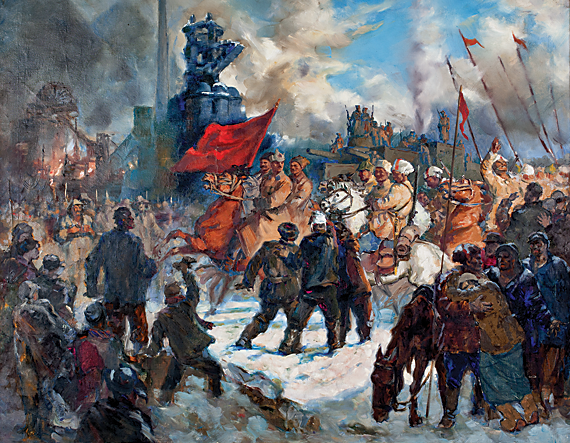 While his success as ambassador remains the subject of mixed debate, he did amass a collection that included Pavel Petrovich Sokolov Skalya’s Red Army in the Don Basin (Fig. 2) and a fifteenth-century Graeco-Byzantine icon (Fig. 3). The Vernon Hall Collection given to the museum in 1974 consists of nearly four hundred European medals dating from the fifteenth century, celebrating the lives of kings, princes, dukes, lords, counts, countesses, popes, bishops, emperors, saints and assorted noblemen. These metal (mostly bronze and lead) bas relief portraits trace six centuries of the history of European empires, recalling the brave and the good as well as the cowardly and evil. 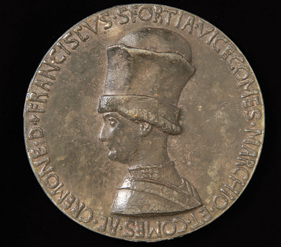 They were often designed by revered artisans of the day, one of the best known being Pisanello (Antonio di Puccio Pisano), represented by forty medals in the collection, including his circa-1441 cast of a medal bearing the likeness of Francesco I Sforza, founder of the Sforza dynasty in Milan, and later 5th Duke of Milan (Fig. 5). Vernon Hall, professor of comparative literature at the university, began collecting medals in France after World War II, when collections were broken up and sold on the market, and he continued to collect from various sources during travels to Europe and through dealer specialists in the area. Two complementary collections of twentieth-century art given by alumni, the Hollaender Collection (280 works) and the Terese and Alvan S. Lane Collection (367 works), are also key collections of the museum. 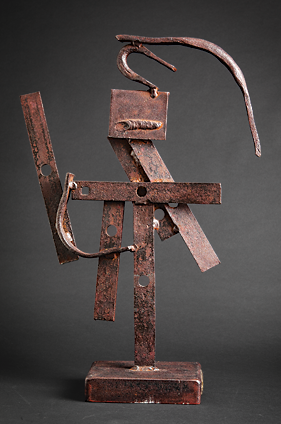 Alexander Hollaender collected work from mid-twentieth-century (with signature paintings by CoBrA artists and ArtBrut artists).3 The Hollaender collection includes David Smith’s 1956 welded-iron piece, The Bar Head (Fig. 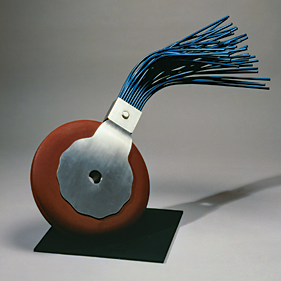 6), whereas the Lane collection is more focused on sculpture, notably Claes Oldenburg’s 1977 Typewriter Eraser (Fig. 7), along with a notebook of eraser studies and a large number of preparatory drawings by sculptors. The Chazen collection also includes a large and expanding number of prints, dating back to the fifteenth century, and is the official repository of prints from the Tandem Press, the largest professional press affiliated with a university in the country. As such it is given one print from every Tandem press edition, which now totals nearly five hundred prints. Founded in 1987, the press works with contemporary artists, including Sam Gillian, Robert Cottingham, Alan Shields and Jim Dine. While the Chazen’s collection is anchored by these large and specific collections, like many university museums, the collection is encyclopedic in design and scope. Fortunately, it has been the beneficiary of a wide variety of gifts received singularly or in small numbers, spanning many centuries and mediums. 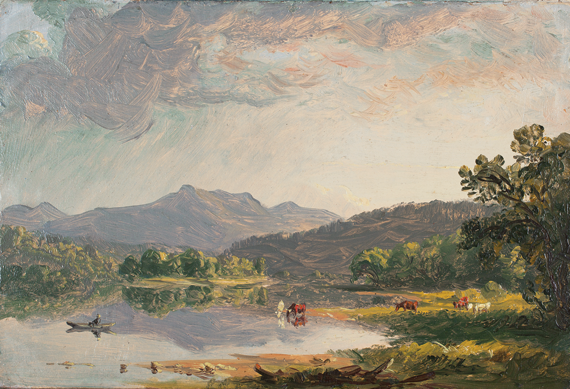 The continuing gifts of mainly nineteenth-century American works of art given by Mr. and Mrs. Stuart P. Feld includes Mount Washington from the Sacco River: A Sketch (Fig. 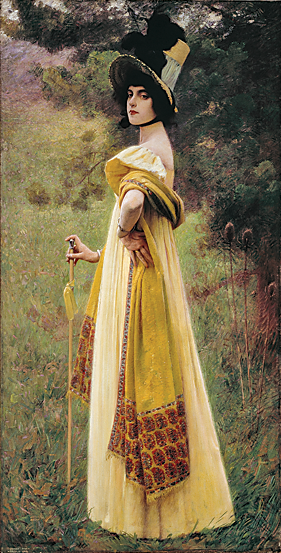 8), painted by Sanford R. Gifford in New Hampshire following a three-year stay visiting museums and artists in Europe. Recently the museum has been given nearly one hundred photographs tracing the history of photography and encompassing a wide range of photographic processes, ranging from a circa-1845 salted paper print by William Henry Fox Talbot to a 1981 silver print by Irving Penn. 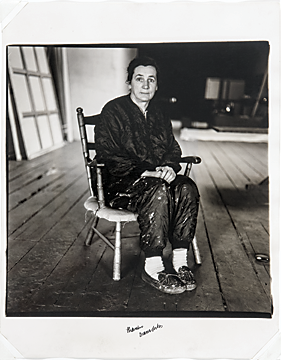 Also included in this collection is a gelatin silver print by Diane Arbus of the American artist Agnes Martin (Fig. 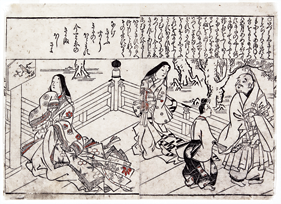 9), who is herself represented in the Chazen collection. As the collection grows, such corresponding works emerge, enriching and enlivening exhibitions. 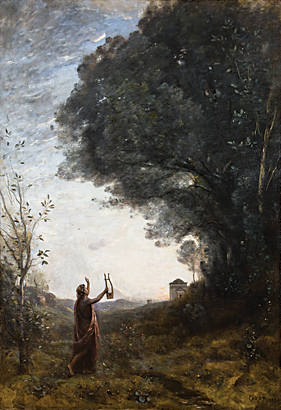 A single gift of a major work by Jean-Baptist Camille Corot, Orpheus Greeting the Dawn, 1862 (Fig. 10), is especially important and has a fascinating history: It started life as one of two panels in the dining room of the Paris townhouse of Prince Anatole Demidoff; it was included in the 1893 Pedestal Fund Exhibition to raise money for the Statue of Liberty pedestal; and was later owned by the famed Chicago collector Mrs. Potter Palmer. 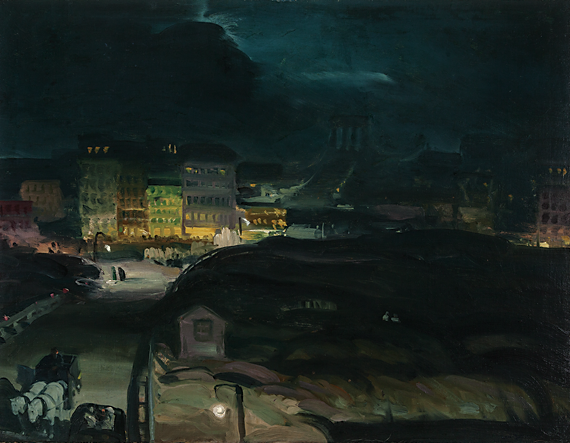 Another superlative gift was George Bellows’ 1913 painting of New York (Fig. 11). Dating to the artists’ most fertile period, it is an extraordinary example of dynamic representative painting in America at the birth of a new era of nonobjective art shown in the famous New York Armory Show of 1913. Purchase funds from many different quarters have allowed the Chazen to access works based on its own discretion—to fill in gaps, or as seminal works in new, uncharted areas. These funds have made possible the purchase of The Shawl, circa 1900 (Fig. 12), by Charles Sprague Pearce, one of several artists commissioned to paint lunette murals in the newly constructed Jefferson Building of the Library of Congress, and Pisatachio, 1971 (Fig. 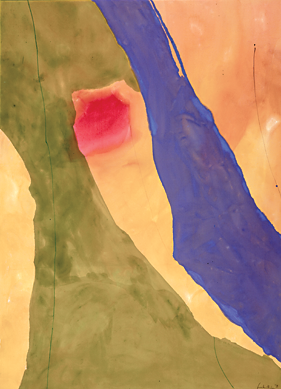 13), by Helen Frankenthaler, one of the leading American Abstract Expressionists, and, along with Morris Louis, progenitor of the school of stain painting, an offshoot of color field painting. Its most recent acquisition is a very rare monotype by Wisconsin-born Georgia O’Keeffe, (Fig. 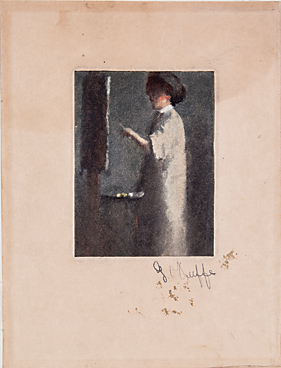 14), one of only two produced by the artist while a student of William Merritt Chase (1849–1916) at the Art Students’ League, New York. The process dates to the mid-seventeenth century, but was not seriously taken up again until the 1870s, when monotypes became a passing preoccupation of several artists at the time, including Edgar Degas and William Merritt Chase.4 It is not unreasonable to assume that Chase discussed the art of making monotypes with, or perhaps answered questions about the process from, his students, as several, other than O’Keeffe, are known to have taken up the art—including Joseph Stella, Edward Hopper, Alfred Maurer, Edwin Dickinson, and Gifford Beal. Thus charged, the newly enlarged Chazen Museum of Art plays an important role in teaching new generations to appreciate the artistic output of the past, in providing a body of work for students to study the history and continuing evolution of art, and inspiring, hopefully, new collectors who will, in turn, leave their collections to alma mater. Eugenie Mayer Bolz, Walter A. and Dorothy Jones, Jean McKenzie, and Jim and Peg Watrous Endowment Funds, and D. Frederick Baker and Leslie and Johanna Garfield Fund purchase (2013.16). D. Frederick Baker is an alumnus of the University of Wisconsin and a frequent contributor to Antiques and Fine Art, having authored articles pertaining to each of the four volumes of The Complete Catalogue of Known and Documented Work by William Merritt Chase (1849–1916). He is represented in the Spring 2012 issue with An Artful Life: The Baker/Pisano Collection of Late 19th and early 20th Century American Art. 1. Blanton Museum of Art at the University of Texas at Austin, with 180,000 sq. ft., claims to be the largest university art museum in the country. 2. The largest collection is held by the Library of Congress. 3. CobrA is an acronym of Copenhagen, Brussels, and Amsterdam, home to its artist founders, including Asger Jorn, Christian Dotremont, and Karl Appel. ArtBrut (meaning rough or raw art) was founded and led by the French artist Jean Dubbuffet.